Using the art of origami, or paper folding, you can fashion an airplane that actually flies. Even NASA gets in on the fun with downloadable paper airplane templates on its website. Physics buffs may tinker with the basic design to improve performance, but with just a few folds, anyone can send a dollar bill soaring. A simple airplane folded from the currency of your choice gives you an entirely new way to play with your money. Money origami makes a fun tip for a server at a restaurant and an interesting way to present a cash gift to a child. Wrap a dollar-bill airplane in a folded origami gift box. If you're making the airplane in this tutorial, add the paper clip mentioned in Step 4 to make it easily recognizable as an airplane when the child opens the box. Provide supervision when he or she plays with the airplane so it doesn't fly away and leave the child without money to spend! All money origami projects recommend using a crisp bill; this becomes especially important with an origami airplane. Wrinkled bills won't hold a crease well, leaving you with a finished plane that struggles to stay aloft. If necessary, you can iron your bill first using a standard iron set on the lowest heat. 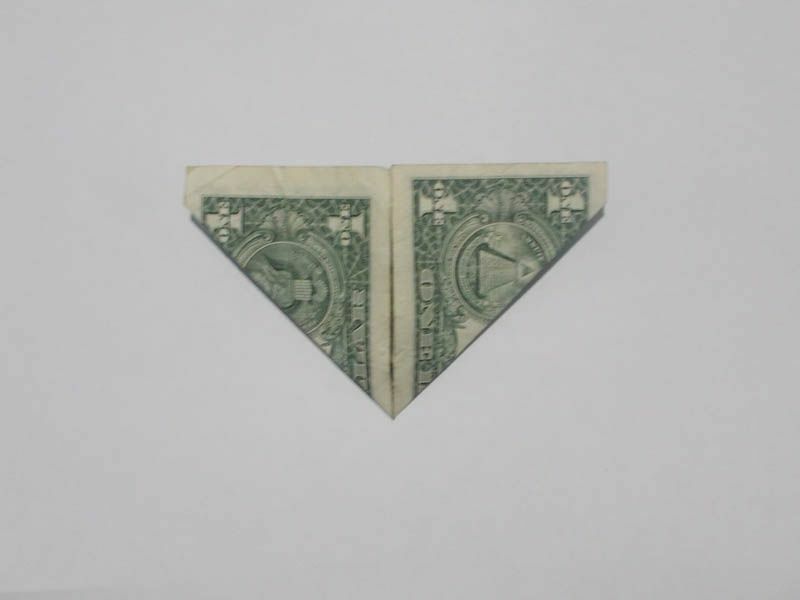 To begin making a money origami airplane, fold the dollar bill in half vertically. Crease it well, then unfold it. Next, fold both the left and the right sides up to meet the middle crease. When you finish, your bill should be in a triangle. Rotate the triangle 90 degrees. Fold the dollar bill in half along the crease you made in Step 1. 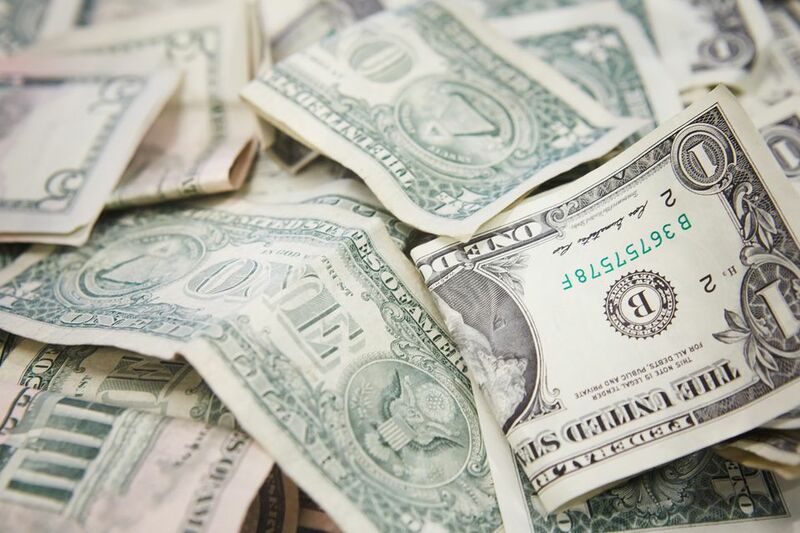 Fold the top layer of the bill down to meet the bottom crease. Flip the bill over and repeat. Double check for symmetry, because lopsided wings prevent an airplane from flying properly. Your money origami airplane is complete. Hold the back together with your fingers when you throw it. You can also try adding a paperclip to the back to see how extra weight affects the flight path. You can also make a classic dart plane with a dollar bill. Simply fold your bill in half vertically and then make a plane using the same folds you learned in elementary school. If you need to jog your memory, check out the How to Make a Dart Paper Plane instructions. If you enjoyed making this origami airplane, check out the easy-to-fold origami 'loopy' plane. How to Make a Beautiful Origami Bracelet!